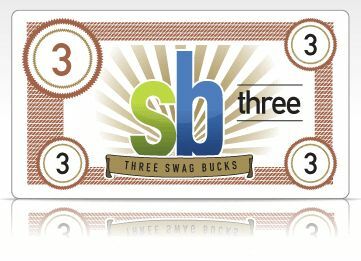 Helping me ever-closer to my next cashout…I got a nice (fairly rare, for me) three Swagbucks win this morning! I’ve gotten into the habit of holding off on cashing out in the hopes that they’ll have “something good” as their daily discounted redemption. I’m mostly interested in Amazon but I cashed out for PayPal when it was on sale, and for Barnes and Noble eGCs when they were marked down. If you’re not a Swagbucks member and would like to join, please click here (my referral link; thanks! ).